A couple of months ago, we visited Telia Denmark at their spacious and modern Danish HQ in Copenhagen. Telia are a Nordic telecommunication company. The Telia Denmark branch of the company is responsible for voice and broadband subscriptions across Denmark. We were lucky enough to meet with Daniel Barnes, Head of Consumer Outbound Sales. We filmed a case study video, got to see Plecto in use around the office and also interviewed Daniel about his motivation behind using Plecto and his experience so far. 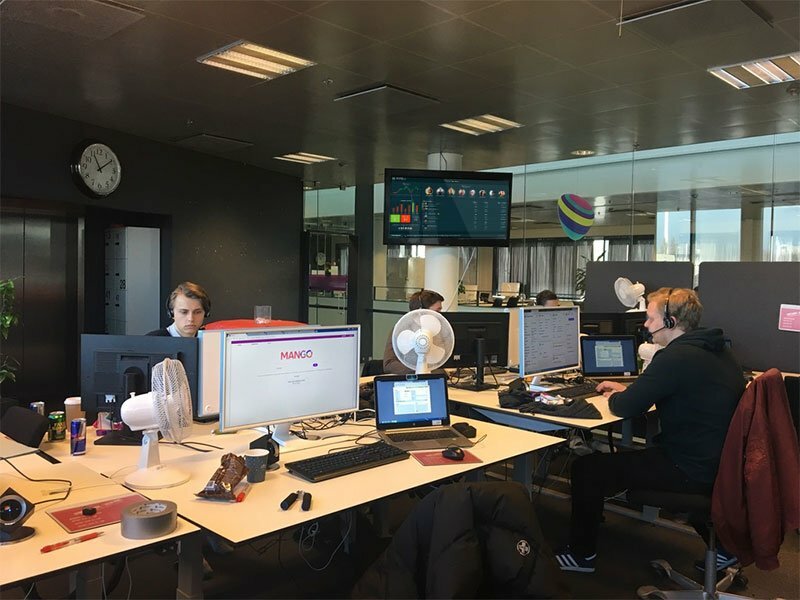 Keep reading to find out what problems Telia have solved with Plecto, what their employees think about the dashboards and what changes they've noticed since implementing Plecto. "I wanted an executive dashboard to have a great overview of how things were going in relation to sales and quality" explains Daniel, "I also wanted for my teams to compare themselves to each other. This creates motivation and wanting to be the best". Telia has around 150 employees using Plecto in both internal and external sales teams. Plecto provides Daniel with instant answers to how business is going which is really valuable to him. 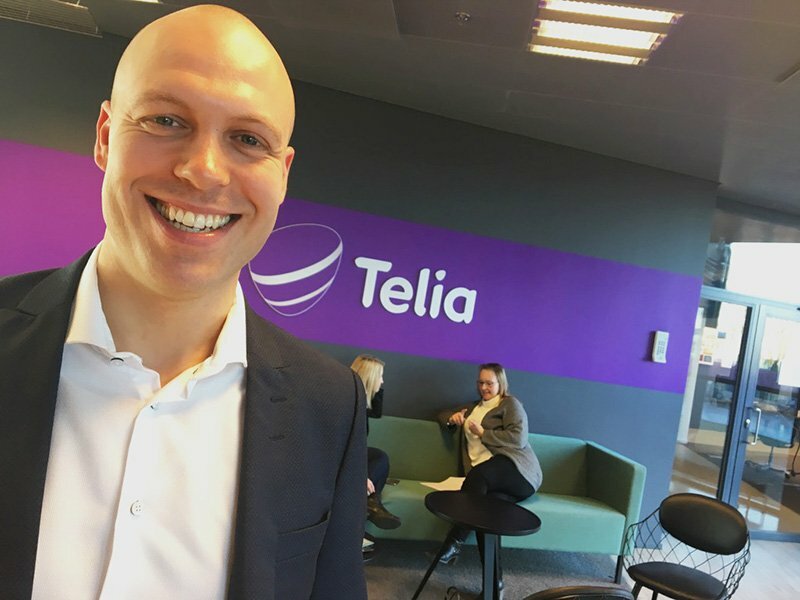 When it comes to the salespeople at Telia, Plecto provides them with a great deal of motivation as they can see how they're doing compared to others. They make use of Plecto gamification features to spark friendly competition within their teams. A particular favourite of the Telia employees are the Plecto integrations with Sonos and Philips Hue. "We had a special need at one point as our internal sales team were placed in a spot where they couldn’t make a lot of noise, so ringing bells and things like that wasn’t possible" explains Daniel, "we integrated Plecto with Philips Hue and every time there was a sale, the lightbulbs went off in different colours." Using Philips Hue is a really good way to indicate that something’s happening, in ways other than music. Aside from the integrations, Daniel believes that the best thing about Plecto is "the ability to merge different data sources and show them on the same dashboard." He explains that when you’re working with sales and quality at the same time, you want to see these two KPIs compared to each other. Showing these numbers often is very important. "The magic" of Plecto as Daniel puts it, happened the very first time he met the Plecto sales team. We went to Copenhagen to help Telia set up their dashboards and the process was extremely smooth and easy. There were real and accurate numbers appearing on their dashboards in a matter of minutes. Daniel tells us how impressed he was with this. In fact, he decided to use Plecto "within the first couple of minutes of that meeting". Implementing Plecto was easy for Daniel. He did it all himself and didn't have to bring in IT or any other department. "Setting it up - I have no words" he concludes. "The employees’ reaction to Plecto was fantastic," says Daniel. He explains how valuable it is for the employees to be able to see sales and quality figures together on the same dashboard. One salesperson may make a lot of sales, but at the same time get a lot of complaints. Being able to identify those employees who don't make as many sales, but maintain a high quality level is really important. "Plecto helps bring these employees to the top" explains Daniel. Telia has noticed a lot of results since implementing Plecto. One example Daniel gives is the balance between subscription sales. It is really important for him to have the correct mix of voice and broadband sales - Plecto allows him to visualise these sales and see where improvements need to be made. Experience Plecto dashboards for yourself and see why they are so valuable to Telia. Enter your email address above to get started with your free trial.